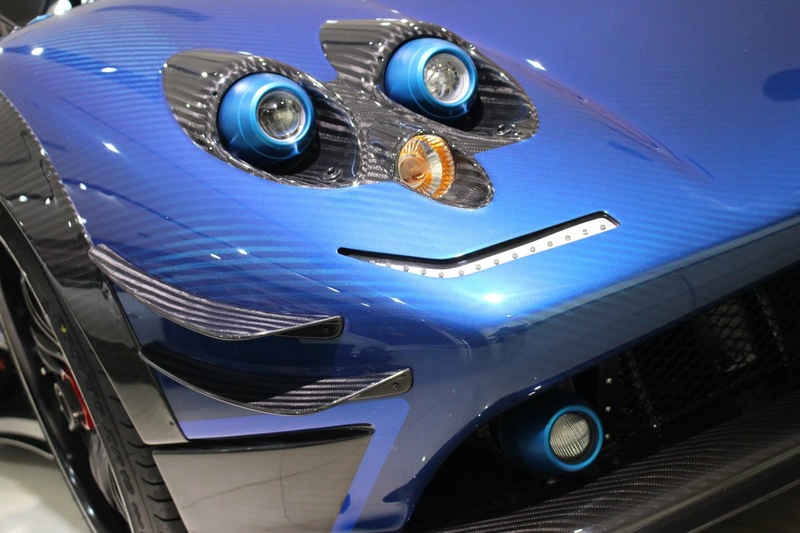 A new wild beast is born at the Pagani Automobili factory, her name is Pagani Zonda 760 Kiryu, and she is the second 760 Roadster built (not counting the LM Roadster). Few hours ago, the Japanese Pagani dealer Bingo Sports based in Tokyo, shared on their facebook page some pictures of this new monster. The pictures show the car arrival on board a truck at the showroom where it is parked next to the lovely Zonda F #092. 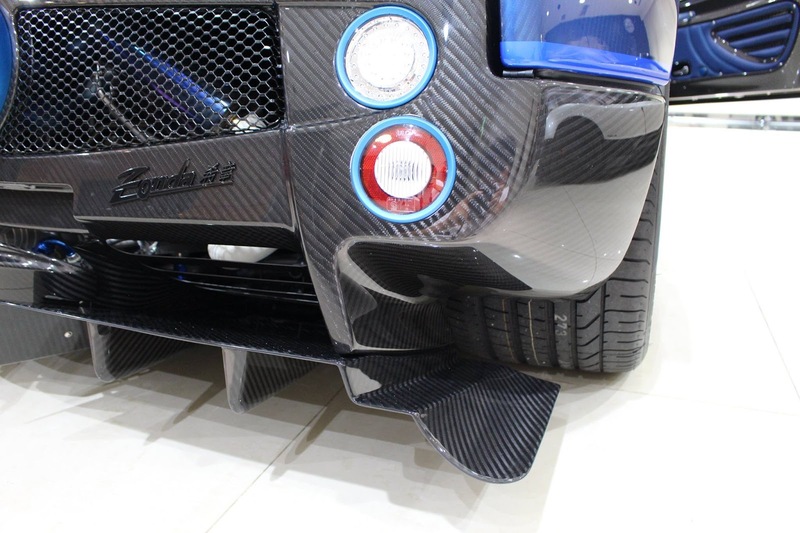 The more attentive readers will have noticed a marked resemblance to the Zonda Revoluciòn 5 of 5 that we showcased a while ago, in fact, I think that the Zonda 760 Kiryu belongs to the same owner. 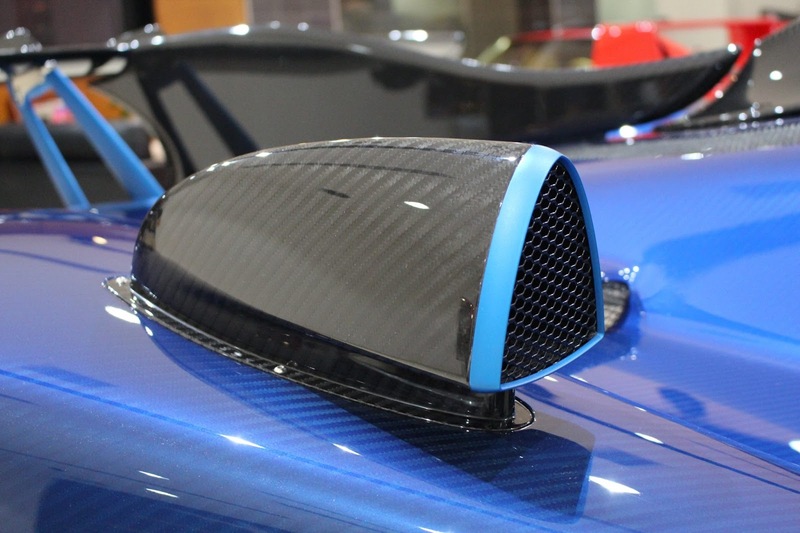 The car features a fully visible carbon fiber body slightly painted in blue tint, black magnesium wheels, blue brake calipers and blue and burnished details around the body, maybe also inside the engine bay. 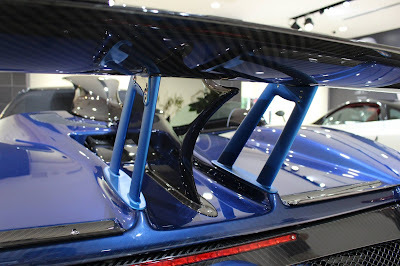 While the cockpit configuration is still unknown but my guess would be: blue leather and black alcantara with carbon fiber panels and blue details. The car is also equipped with a 7 speed sequential gearbox. 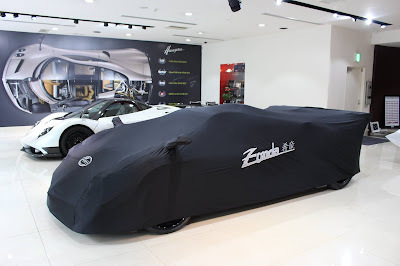 This Zonda is the second 760 delivered to Japan, maybe you remember the special Zonda ZoZo. For the moment, these are the unique pictures and informations I have on this car, but stay tuned for more, I will publish them on my facebook page Prototype Zero.